SLEEP APNEA is a serious sleep disorder that occurs when your breathing is interrupted during sleep. The muscles of your airway collapses and obstructs your breathing. Stop breathing will repeatedly occur during your sleep if left untreated. Untreated sleep apnea may occur somethimes hundreds of times during your night. Ultimately, this means the brain and the rest of or body, may not get enough oxygen. OBSTRUCTIVE SLEEP APNEA is the more common form of apnea. This is caused by blockage of your airway, usually when the soft tissue in the back of the throat collapses during sleep. CENTRAL SLEEP APNEA is a form of apnea, when the brain fails to signal the muscles to breathe, due to instability in the respiratory control centre. Sleep Apnea can affect anyone at any age, even children. 2. What if I am a new CPAP user? Once you have been diagnosed with mild, moderate or severe sleep apnea from a medical sleep study, you will be provided with a Rx. We try to provide as much information as possible to answer as many questions that new users often have. We set aside 1 hour and 1/2 and sometimes it goes longer for first time users that will assist you in you up with a trial cpap or purchasing your first CPAP machine and CPAP mask,a coursing to your Rx. We will not rush you as, one of the clinicians is also a regular CPAP user. We also know that with the variety of options, the decision can be difficult. We are here to assist you with any questions you may have regarding your equipment or therapy. Feel confident that we will assist you with care. Click on the Contact Us button in the main menu. Click on the Appointment button in the main menu and book a suitable time. Call us at 289-878-3000 or send an email to admin@airwayhealth.ca or come and visit us at the clinic, 470 Bronte St S Unit 107, in the same building as Life Labs. 3. 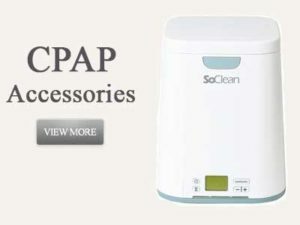 What does CPAP stand for? CPAP is the acronym for Continuous Positive Airway Pressure. CPAP therapy provides a constant flow of air at a set pressure into your airway to ensure that your airway stays open through the night. 4. Directions, how to use your cpap? Use your CPAP every night. CPAP is not a cure. It is only an AID. So when you use it, your apnea’s are controlled down to the normal level of 0-5. When you skip nights then your apnea’s return to mild to severe, 6 upto 300 times an hour. Loan out our travel size cpap devices, enjoy your trips, save your friends the agony of snoring and look after your health. 5. What are auto-titrating or auto CPAP machines? Auto-titrating CPAPs are machines that automatically adjust your pressure throughout the night to ensure that at all times you are receiving the exact pressure necessary to keep your airway open. Cpap machine pressure is calculated at 95% of your auto titrating pressures over a period of time. Only your physician will determine which machine is best suited for your therapy. 6. What is a BIPAP machine? BIPAP (Bilevel Positive Airway Pressure) machines deliver air flow to the airway at a certain pressure in the same manner as a CPAP, but they have different pressures for the patient’s inhalation and exhalation. Inhalation pressures are higher and keep the patient’s airway open, but exhalation pressures are lower to make breathing out against the airflow easier for patients. BIPAPs are only needed in specialized cases where the pressure must be very high, patients cannot tolerate a standard CPAP, or a muscular disease is present that makes it harder for a patient to breathe against the pressure. If you believe you may need a BIPAP, please consult with your physician. 7. Does a warranty come with my machine? All of our CPAP/Auto/Bipap machines are warranted for (3) three years by manufacturer issued warranties. We are happy to handle any problems that arise and will gladly contact the manufacturer for you. Turn around time for a repair can be as long as 2-3 weeks. Thirty-day rental machines are available to help you while the manufacturer of your machine is attempting repair or replacement. 8. What is the difference between compliance and clinical data? Compliance data monitors the patients usage only. Clinical data monitors the patients breathing rate, snoring index, apnea, hypopnea, and central apnea index, average pressure used, and breathing trends..
9. What are the benefits in having a CPAP machine with compliance and clinical data? In the basic machines, the compliance data monitors the patients usage only. In the upgrade machines, Elite & Pro models, the clinical data monitors the patients breathing rate, snoring index, apnea, hypopnea, and central apnea index, average pressure used, and breathing trends, plus compliance date. When you visit your doctor and he requires a download of your data, you will need clinical data to assist the physician in assessing your progress and making necessary changes to your treatment. If you do not have clinical data for an upcoming doctors appointment. You will need to loan one of our machines, with a $200 deposit for a minimum of 2 weeks to provide minimal clinical data for your doctors report. 10. Can I purchase a machine, mask, or humidifier without a prescription? You are required to have a prescription for the purchase of any CPAP, Auto or BiPAP machines. We do not require a prescription for the purchase of CPAP parts. 11. What will my prescription say? Whatever your Rx says, we will follow it to a “T”. For machine trials, we will provide you with a auto/cpap machine, and a brand new mask for the length of the trial. We will provide your sleep doctor with a download of your trial and he/she will issue a final prescription for machine purchase. For machine purchases, your prescription should have the physician’s information and signature, the type of machine you need (CPAP, Auto CPAP, or BiLevel), and the pressure at which the machine is to be set. Your doctor may also want to include humidification settings and type of mask. This may be recommended but is not necessary. 12. What is the purpose of adding humidification to my machine? Heated humidification can definitely increase your comfort. Humidification adds moisture to the air being blown into your airway, and without it, many patients find that they have significant drying out of their nostrils, mouths, and throats. Studies have shown that because patients’ comfort levels are increased when humidification is added to therapy, their compliance with the therapy is also greatly increased as well. 13. How often should I change the water in my humidifier? Distilled water should always be used to prevent calcium build up in your water chamber and also to prevent sinus infections, this is the manufacturers recommendation. Water can be changed daily or topped up and changed every third day. Always rinse your humidifier chamber out before adding new water. Washing your humidifier on a weekly basis helps prevent bacterial build up. 14. How do I clean my tubing and my water chamber? For home cleaning, mix one part vinegar and three parts warm water. Allow tubing and mask parts to soak for a few minutes. Rinse very very well and allow to air dry. 15. Can any CPAP mask be used with any CPAP?AUTO/BOIPAP machine? All masks are universal, and can be used with any CPAP or BiPAP machine from any manufacture, excluding the Transcend Travel machine and ResMed AirMini. Specific masks are required. 16. Which CPAP mask will work with my machine? All CPAP masks and CPAP tubing are made to a standard size. 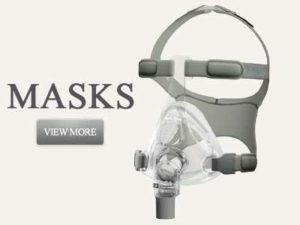 Because of this, you can choose any mask to use with your CPAP or BiLevel machine. You should choose your CPAP mask based on comfort. 17. Which type of mask should I choose? This is a tough question, because it truly varies on an individual basis. There are traditional nasal masks (by far, the most popular with CPAP users), alternative nasal masks, full face masks (for those patients who have problems with mouth breathing or leaking from the mouth), nasal interface systems (such as nasal pillows systems), and oral masks (such as the Fisher & Paykel Oracle Oral). Each of these masks has benefits and drawbacks, and may work for some and not for others. For the best possible choice, stick with what has worked in the past. If you do well with nasal CPAP masks, stick with them. If this is your first mask purchase or you are unhappy with your current mask type, please make an appointment for a mask fitting and we will be happy to assist you based on your individual therapy needs. 18. Are any of the CPAP masks made of latex? All manufacturers have moved away from using any latex in their CPAP masks. Most CPAP masks are made of a silicone based, hypoallergenic material. 19. How and when do I clean my mask parts? Clean your cushion in the morning so it is dry for your evening sleep. Clean the cushion daily with whatever cleaning products you use on your face. Do not use dish detergent or clr as these products are not used on your face. Clean with warm soapy water, your headgear and frame every week or every other week depending on how you sweat and how dirty the items have become. 20. How often should I change my CPAP supplies? Many CPAP and BiPAP users don’t realize that most of the supplies associated with sleep therapy are designed to be disposable. Masks, tubing, filters, and headgear are not designed to last extreme amounts of time, and using them past their recommended life span can actually jeopardize your CPAP therapy. Delicate silicone mask cushions can develop leaks, clogged filters can allow dust and pollen to be delivered into your airway, and over-stretched headgear can require extreme tightening, causing pressure point pain. See our Recommended Replacement Schedule for CPAP and BiPAP Supplies in the NEWS tab. 21. What is the benefit of using a custom CPAP bed pillow? A traditional bed pillow can affect the seal of your CPAP mask during movement while your sleep. The custom CPAP bed pillows are designed to help prevent the mask from moving while you sleep, by allowing the mask to lie freely in the contoured area of the pillow. 22. What happens if I wake up and my CPAP mask has been pulled off? This is a common problem with new CPAP users. Once your body adjusts to having a CPAP mask on your face while you sleep, this will become less of a problem. If you still experience problems after 2 to 4 weeks of consistent use, please contact us or make an appointment for a mask fitting. 23. What do I do if my nose becomes sore from using nasal pillows? First, you want to make sure you are using the correct size nasal pillows. Nasal pillows should have a secure fit. Using nasal pillows that are too large can flare the nostrils causing irritation. Using nasal pillows that are too small can create friction in the nostrils, also causing irritation. Not using heated humidification can dry your nasal passages, causing discomfort. Recommended solutions would be using heated humidification or using a nasal moist gel. 24. Why is a full face mask recommended for mouth breathers? If a patient is a mouth breather and uses a nasal mask, pressure is reduced making treatment ineffective. Full face masks allows the patient to breath from the nose or the mouth, while still obtaining maximum treatment. 25. What if my pressure seems too high? Most first time CPAP users experience this sensation. It normally takes 1 to 2 weeks for you to adjust to the pressure. If you still feel your pressure is to high, you must contact your physician before any adjustments can be made. Patience is extremely important while you adjust to your pressure. 26. what happens if I become very bloated while using CPAP therapy? Patients who experience an abnormal amount of gas build up commonly referred to as gastric distention, normally are swallowing air causing excess air in the stomach. Wedge a pillow under your mattress at chest level. This should alleviate your swallowing of air. And If you continue to experience this condition, please contact your physician. 27. What if I continue to experience mask leakage during the night? Mask leakage can be caused by a variety of issues. With your machine running, pull your CPAP mask away from your face so that the seal can be properly inflated. Then gently set the CPAP mask back into place. Another common problem is having your CPAP mask too tight. Try loosening the head straps to allow proper inflation of the seal. A misconception with many CPAP users is that a CPAP mask should be leak free 100% of the time. All CPAP masks will leak from time to time. Eventually your will need to readjust your mask if a leak occurs. Purchasing a different type of CPAP mask may not always solve your leakage problem. Always allow yourself ample time to adjust to the CPAP mask. If you continue to have problems, give our CPAP experts a call for alternative solutions. 28. Do you have travel size cpap/auto machines? All travel machines are an amazing solution for CPAP users who need a compact, travel-friendly machine. All weighing in at under 1 pound and standing less than 4 inches tall, the travel machines are conveniently small and lightweight, perfect for a suitcase or bedside table. 29. Are there other types of Sleep Apnea therapy devices other than the CPAP/Auto therapy? Your physician may suggest an oral device called a Mandibular Repositioner, if you have mild sleep apnea, or Nasal Seals. See our website for details on Provent and Theravent Therapy. Both may be prescribed by your doctor. 30. What kind of support do you provide for your clients? We have a dedicated staff of trained CPAP experts to assist you before and after sales. We honor all manufacture warranties and will gladly handle any warranty claims you may have. Please feel free to contact us if you have any questions or problems before or after you purchase your CPAP supplies. 31. What happens if my machine is out of warranty and needs repairs? Please contact us to obtain a RMA (Return Merchandise Authorization). Our returns department will gladly send your machine to the manufacture for a repair estimate. We will contact you with the estimate before any repairs are made. You will always have the choice to have your machine repaired or sent back to you. 32. What is your return policy? Return policies with medical equipment companies can be very strict due to hygiene issues and prevention of cross contamination. Any product that has been opened can not be returned for a refund or credit. There are no refunds on cpap/apap/bpap machines. We honor a 7 day credit on all unopened cpap products for a full credit. We honor a 30 day mask guarantee credit on opened masks only. If you have any hesitation with your order please contact our experts to assist you. 33. What are your hours of operation? We are closed for lunch Tue – Thu 2-2:30pm. 34. Can I call customer service to place my order? All customer services representatives are here to assist you. Whether it is placing an order or answering a question, our CPAP experts are readily available to assist you. All internet promotions are valid on the internet site only. 35. Is your site secure? How do you handle secure transactions? Our site utilizes the highest level of encryption available – 256 bit encryption. We proudly display the SSL seal on all pages. Your credit card information is safe with us. Your information is passed through our website to an encrypted payment gateway. 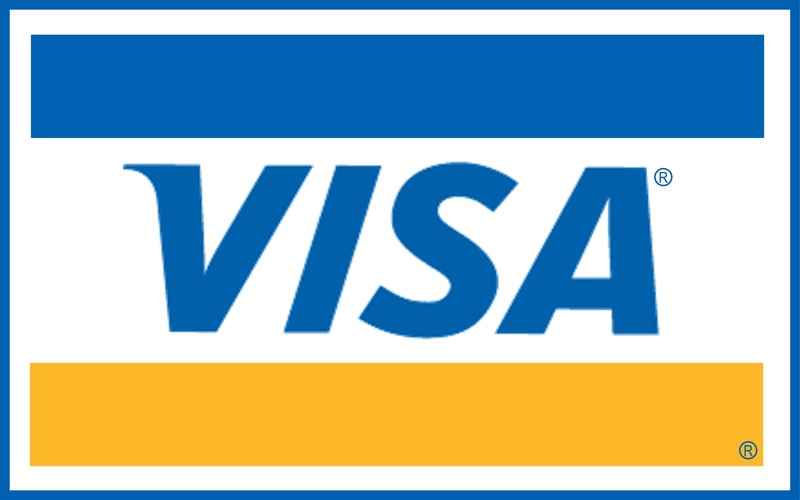 We do not keep or store your credit card information. We are merely given a code for authorization of your purchase, and we capture that authorization just prior to shipping your items for you. 36. How do I track my order? We will send an order confirmation email to the email address you provide to us. You will receive a second email from us with your tracking number. You can also log into your account, go to your order history, and click on track your package. 37. What happens if I order the wrong product? If a wrong product is ordered it is very important that you do not open the manufactures packaging. Call our office to obtain a RMA number before returning your product. All returns must be done within 7 business days for a full credit. 38. How long does it normally take to receive my credit? Credits are immediate when you return the unopened products to us at the clinic within clinic hours. All items returned without a RMA (return merchandise authorization) number, can delay your credit..
39. How do I report a problem with the site or offer a suggestion? To report a problem with the site or offer suggestions as to how we may better serve you through technology, please send us an email in the Contact us Tab – to admin@airwayhealth.ca or contact us via phone 289-878-3000.